It is really important as a family to create lasting bonds and memories. In my house, we like to spend some time together on a Sunday participating in a fun activity. 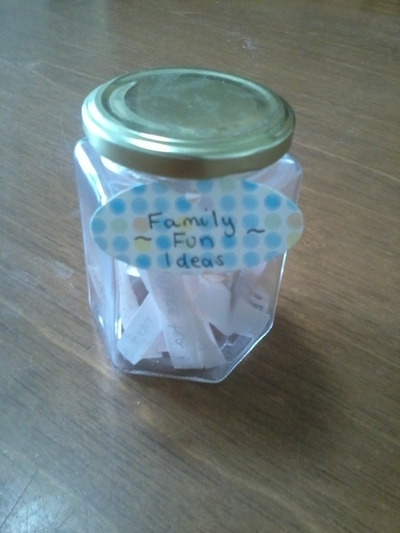 After a few weeks we struggled to come up with new ideas, so I created this family fun idea jar. Every week each family member take turns picking an idea out of the jar at random. It is very easy and free to make, if you have an empty jar. 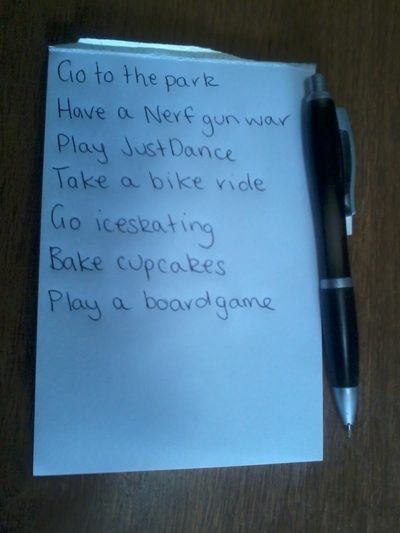 Quite simply, I sat down with my kids and had a brainstorming session. They each came up with a few ideas which I wrote down on a piece of paper. The great thing about this list is it is customised for your family. If you are on a budget encourage the kids to think of free or low cost ideas like going for a bike ride, a visit to the library, baking or craft ideas. 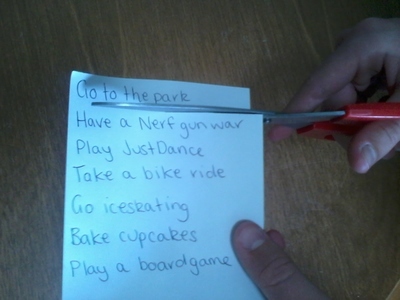 Once you have around 20 ideas written on your list, cut the paper into strips, then fold in half and place in your jar. You can decorate the jar with some ribbon and a label. This would work so well for school holidays!